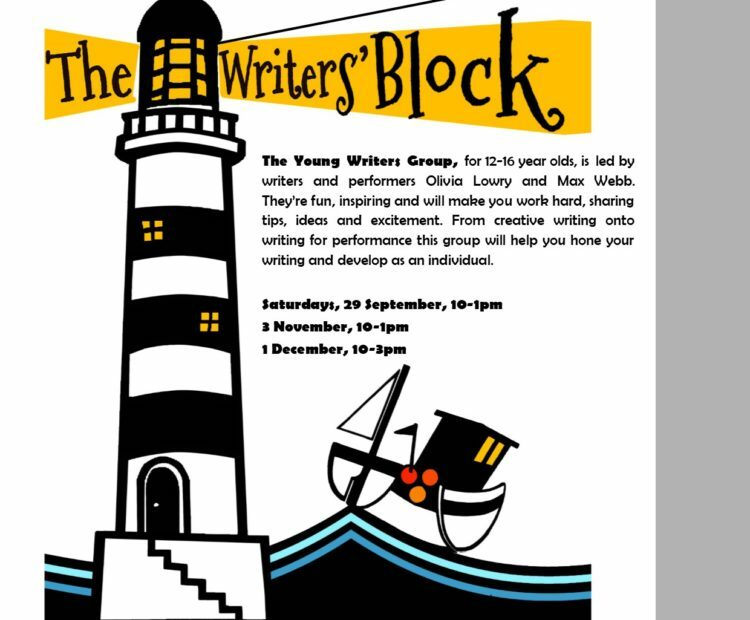 In partnership with The Minack Theatre, KEAP and The Writers’ Block host a regular, monthly Young Writers’ Group. This is aimed at young people from 12-16 who have a passion for writing and reading. It is a safe and special space for them to be writers and to develop and refine their craft. Writers and performers, Olivia Lowry, Max Webb and Casey Bottono are fun and inspiring and will lead these sessions in a great place to make new friends with a shared passion for writing. They will cover many aspects of creative writing, from stories to poetry, with the overall focus being on writing for performance. The first session is on Saturday September 29th and runs from 10am– 1pm at The Writers’ Block in Cornwall College in Pool. The cost is £7.50 a session. The sessions to follow will be Saturday November 3rd, 10am-1pm and December 1st, 10am-3pm. All 3 sessions can be booked together and in advance for £20. Suitable for age 12-16 years. Tickets are available from CRBO, by telelphone on 01726 879500 or buy at Heartlands Pool or Tourist Offices in Penzance, St Ives or Truro or 01726 879500.